Judges, just like “ordinary people,” are subject to routine incentives; i.e. according to Benjamin Barton, they are driven by the same combination of incentives, experiences, and cognitive biases that drive the rest of us. This includes the justices of the Supreme Court. Therefore, justices presumably strive to reduce the difficulty, the sameness and the amount of legal workload. In order to achieve that end, they adopt strategic postures, which means that justices take into account not only the best legal solution of the case, but the solution that also best serves their particular interests. That is, they choose the course of action that best serves their medium- and long-term purposes. This decision has also explicitly overruled the Court’s 2009 decision in Habeas Corpus nº 84078 (In re Vitor). In Vitor, the STF ruled by a broad majority that imprisonment before a final and unappealable penal sentence may only be admitted as a preventive detention and anticipation of a criminal sentence execution, in addition to being incompatible with the Constitution, could only be justified in the name of convenience of judges—and not in the name of criminal proceedings. It has also stated that the so-called “defensive case law”, designed to reduce the number of appeals to higher courts, reduces the scope or even suppresses constitutional guarantees. Many scholars criticized Dantas decision, claiming that the Constitution should have prevailed, Brazil is going against history, the overruling was a resounding historical mistake and citizens are paying for judicial delays. In an official statement, the Brazilian bar association (Ordem dos Advogados do Brasil) reaffirmed its historic position of defending individual rights and against impunity, in the sense that the constitutional principle of the presumption of innocence does not allow the imprisonment as long as there is a right to appeal. These opinions and the dissent of Justices Lewandowski, C. J., de Mello, Weber and Farias Mello, affirming the Court’s prior decision in Vitor, are very much the same. Not to mention the unpredictable systemic effects that the decision may have on lower courts’ case law, since it is not a binding decision: statutes of limitation applied to execution sentences, criminal lawsuits filed before the STF—since it is within its competence to institute legal proceeding an trial of major authorities in common criminal offenses—and compensation for wrongful conviction. Under Vitor, a precedent many considered to be the controlling precedent, Dantas should have been an easy case, notably because both the Congress Explanatory Memoranda and the Presidential Issuing Statement for a 2011 reform in the Criminal Procedure Act (Dec.-Lei nº 3.689 of 1941) affirmed that any imprisonment before a final and unappealable penal sentence may only be admitted as a preventive detention. Therefore, Dantas contravened not only important clauses of the Constitution, but also the Court’s own case law and the other Branches’ official statutory and constitutional interpretations. To use a term coined by University of Chicago philosopher Brian Leiter, the Court thus acted as a superlegislature i.e. it has not simply decided on the basis of legally binding standards. Notably, the holding seems to be based on good strategic reasons, notwithstanding the cost of important individual rights and diversion from precedent. Permitting the execution of a criminal sentence after the decision of an appellate court encourages the reduction of appeals, or, according to Justice Roberto Barroso, discourages the procrastination of appeals, given the small chances of a reversal of a lower court’s decision. In 2015, the STF heard more than 6,000 writs of habeas corpus—not including petitions for en banc rehearing—and denied them in 92 percent of the cases. It is noteworthy that the STF does not have a procedural filter akin to certiorari: all appeals are almost automatically included in its yearly docket. Furthermore, the decision serves to better define the issues to be tried by the Brazilian Supreme Court, which progressively intends to abstain from its cour de cassation assignments to focus primarily on its role as guardian of the Constitution. It may serve also as an incentive for legislative discussions, since, without the prior decision of the Supreme Court, Congress would be unlikely to approve a constitutional amendment that promotes this kind of change in the Constitution, particularly for the purpose of abolishing—rather than simply narrowing—a fundamental guarantee (article 60, paragraph 4º, section IV, of the Brazilian Constitution). There was, moreover, no other reason to change the previous case law of the Brazilian Supreme Court: there were no societal changes, no changes in the case law of lower courts, no recent modification of criminal procedure. Nor was there a formal change in the constitutional text. The possibility that a mere change in the composition of the Court is the sole cause for the recent jurisprudential shift despises extremely important aspects of institutional order: six new Justices are now sitting on the Bench, but as Justice Roberts of the U.S. Supreme Court once said during his Senate confirmation hearings, you always have to take into account the settled expectations that have grown up around the prior precedent. The decision may already be considered one of the biggest gaffes of the STF: it is undoubtedly strategic, but a cost-benefit analysis would reveal that it has disastrous consequences. 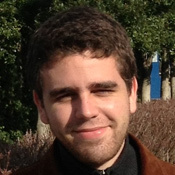 Igor De Lazari is a Graduate Student at the Federal University of Rio de Janeiro, Researcher at the Theoretical and Analytical Studies on Institutional Behavior Lab and Law Clerk at the Regional Federal Court in Rio de Janeiro. 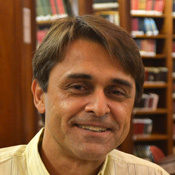 Antonio Sepulveda is Professor of Law at the Getulio Vargas Foundation (FGV) and at the Fluminense Federal University. He is a researcher at the Theoretical and Analytical Studies on Institutional Behavior Lab and a Brazilian Internal Revenue Service officer. 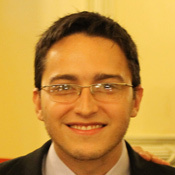 Henrique Rangel is a Graduate Student at the Federal University of Rio de Janeiro, Researcher at the Theoretical and Analytical Studies on Institutional Behavior Lab and Law Clerk at the Regional Labor Court in Rio de Janeiro.